The Irish are well known for many things: the gift of the gab, convivial pubs, U2. What’s not as well known is the Irish people’s knack for marketing. As St. Patrick’s Day approaches, let’s raise a glass to these fine examples of the Irish’s formidable promotional prowess. This inky, black (or dark ruby red) drink is the world’s most beloved stout, thanks in part to some brilliant brand advertising campaigns. 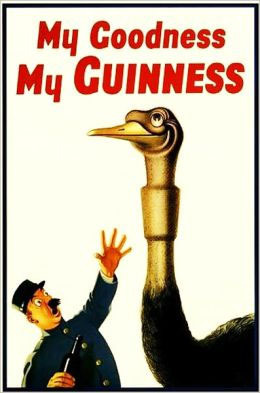 Its playful taglines are iconic: “Guinness for Strength.” “My Goodness, My Guinness.” “Guinness Is Good for You.” Vintage Guinness signs are sought after by tourists and Irish locals alike. Not to mention the staggering number of visitors that the Guinness Brewery continues to attract. Marketing Lesson: Investing in branding can deliver powerful results. 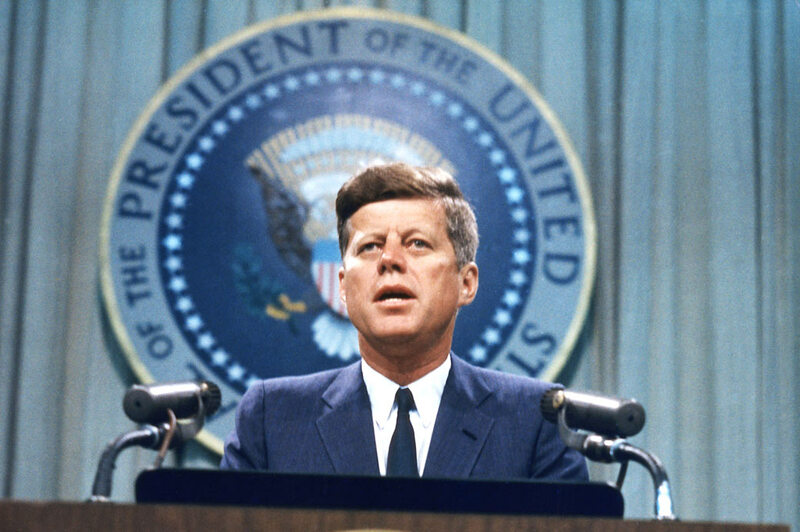 In 1960, Kennedy, a Roman Catholic, Irish-American, was elected president of the United States -- something that had long been unthinkable in a country where groups such as the Know Nothing Party were built around anti-Irish and anti-Catholic sentiment. Kennedy’s performance in the televised debates during the campaign helped create the image of a youthful, vigorous man despite his struggles with back pain and Addison’s disease. Marketing Lesson: Marketing a new medium, in this case television, can pay huge dividends. Featuring the bare-chested Michael Flatley, an American from Chicago’s South Side, the dance extravaganza “Riverdance” became a phenomenon in the mid-1990s and revived the popularity of Irish step dancing around the world -- some say in spite of itself. Marketing Lesson: Match your message with the medium: Broadway and dance are a perfect pair. Notre Dame is a Catholic university founded by French priests on the plains of Indiana. 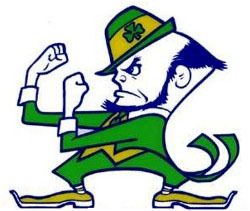 The school found unlikely fame, thanks to its football team, which rose to prominence in the early 1900s as the Fighting Irish, a nickname derived from the squad’s many players of Irish heritage. Notre Dame used its football notoriety to help the school become one of the top universities in the U.S.
Marketing Lesson: Leveraging your strengths can elevate every aspect of an organization. 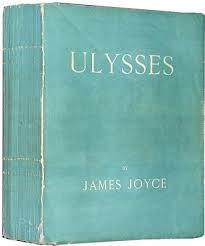 Published in 1922, James Joyce’s difficult masterpiece, “Ulysses” is considered the quintessential modernist novel. It became an even more celebrated book when a New York court ruled it was “obscene,” which effectively banned the Irish novel from the United States until the 1930s. The censoring turned out to provide a serendipitous and lasting awareness for the book. Although he was born in England, David Ogilvy had Celtic roots: His mother was Anglo-Irish, and his father was Scottish and spoke Gaelic. Ogilvy was a genius at selling himself -- the firm Ogilvy & Mather still bears his name, because his brand still maintains its strength nearly 20 years after his death. 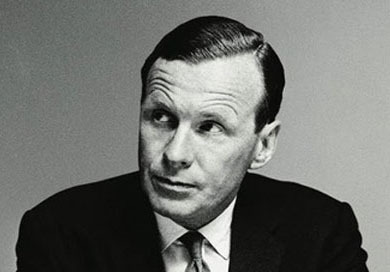 Ogilvy was also a genius at selling the advertising profession as an honorable one. His quote, “The customer is not a moron, she is your wife,” is a classic call for the industry to elevate itself. 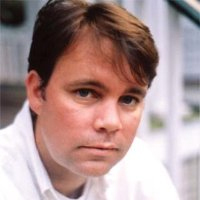 Marketing Lesson: The best salespeople sell themselves first. Marketing Lesson: Brashness can help you standout. So can comparing yourself to other industry leaders. In the 1840s, the potato famine and its after effects created the Irish diaspora in which countless Irish fled their country, primarily to the United States. Now, the country has reinvented itself and thrives as a business center in part because of its English speaking population. 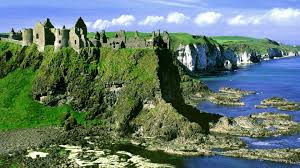 Ireland also thrives as a tourist destination for the descendants of those who fled. Marketing Lesson: Brand comebacks are possible, even if it takes a couple of centuries. 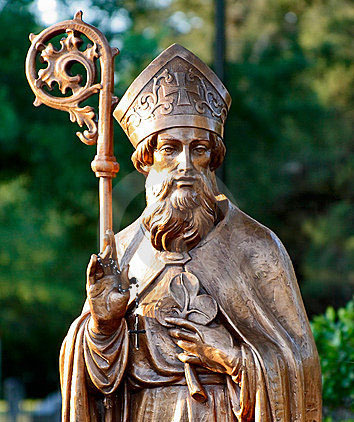 Once a slave in Ireland in the fifth century, Saint Patrick escaped to England, became a priest, and returned to the Emerald Isle as a missionary. He helped establish Christianity in Ireland; legend has it he did so in part by using the three leaves of a shamrock to explain the holy trinity. Marketing Lesson: Metaphor and storytelling can be powerful assets. 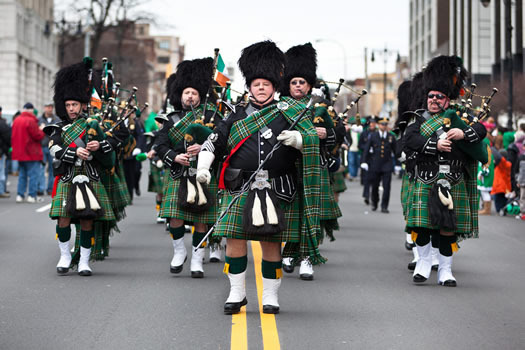 With all the green beer, it’s easy to forget that St. Patrick’s Day is a holy day of obligation in Ireland. On top of that, the holiday occurs during Lent, a period of restricted eating and drinking. The uncelebrated marketing heroes in this story are the ones who got these Lenten restrictions waived for March 17. The rest is marketing history – mainly alcohol marketing history. Marketing Lesson: Never underestimate the power of events (such as parades and parties) in building a lasting brand. Discover how you can apply some of these Irish marketing lessons yourself by downloading The Sophisticated Marketer’s Guide to LinkedIn and get ready to take your social media marketing strategy to the next level.